Silver Membership players might want to take note. Minecraft: Xbox 360 Edition's much anticipated update, Update 9, has finally arrived on XBLA. 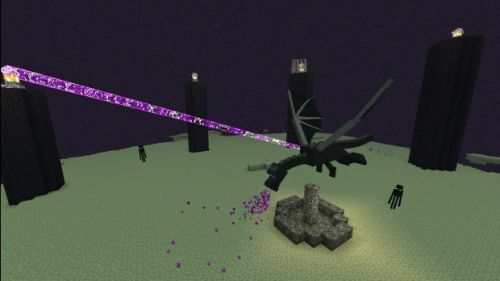 Though the ferocious Enderdragon is ready to be slain, we want players to be aware that some new game bugs have surfaced which 4J Studios is currently addressing. If you get "Connection to the server was lost" and are a LIVE Silver user, try disconnecting the ethernet cable. We are fixing this bug. "We're also looking into the reported lag some people are experiencing in The End. "We are aware of some lighting issues in TU9 and are investigating these." That being said, their inevitable update to Update 9 will be here soon, but we don’t know exactly when. Hopefully when these issues are finally solved, we’ll hear more from them on Twitter. Try to enjoy Update 9 as best as possible until then! Page created in 0.3239 seconds.